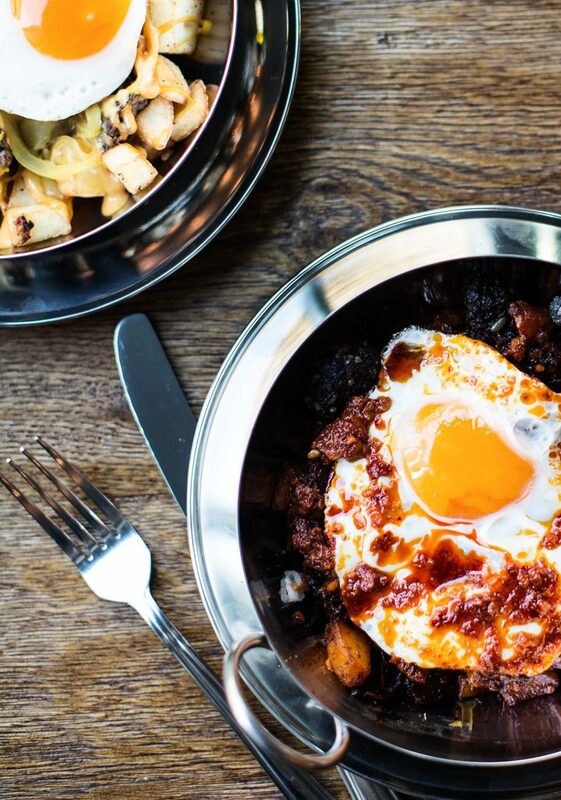 Londoners love a good brunch and let’s be honest there is nothing better than a boozy brunch. As more and more restaurants across the city are getting their brunch on we’re spoilt for choice. 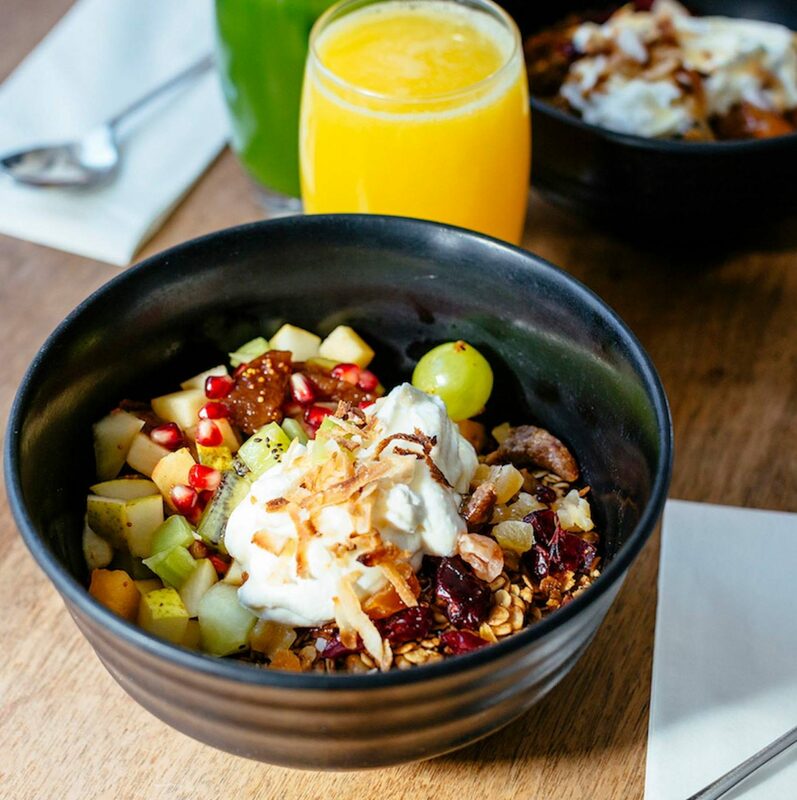 Whether you are looking for a boozy brunch, avo-on-toast, sushi or an acai bowl London has it all. 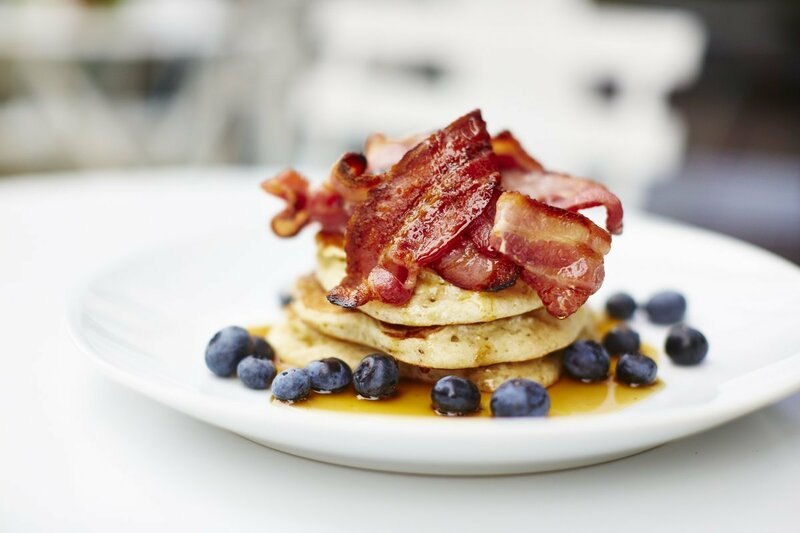 With so many great restaurants offering delicious and innovate dishes we have grazed around London and picked some of our best brunch spots which are well worth a try. Tucked away cosily from the bustle of Oxford Street is NAC Mayfair, a French bistro offering a really strong brunch menu. Deciding what to order is half the challenge. It has a very laid back atmosphere with exposed brick walls and modern decor giving it a Parisian Charm. The brunch menu is available on Saturdays and Sundays from 10 am to 4:30 pm. 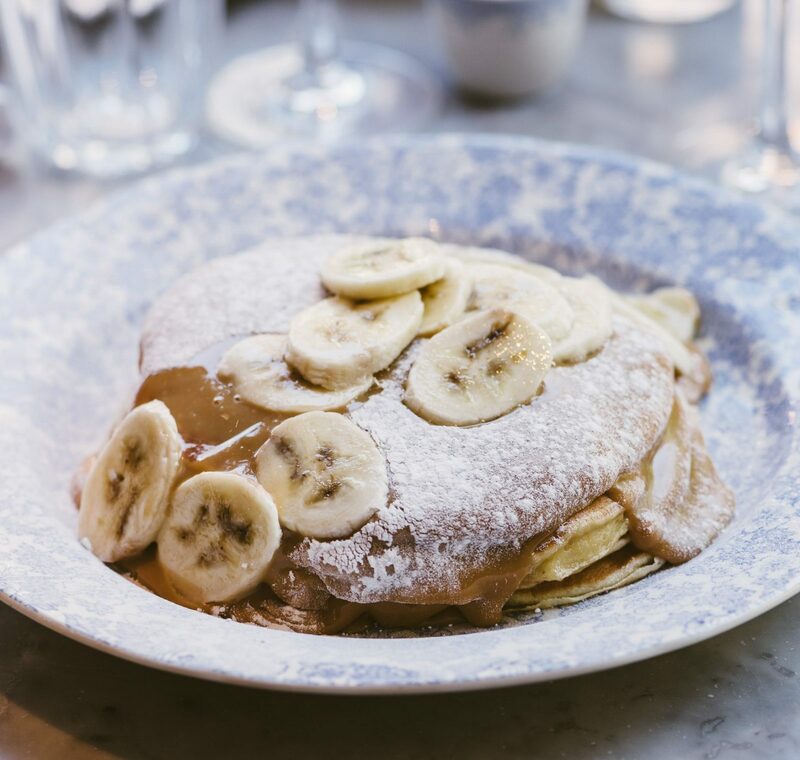 We recommend their ricotta pancakes which are slightly thick in texture and paired with dulce de leche and banana are simply scrumptious without being overpowering. If you are looking to indulge into something more savoury then truffle burger with truffle fries and truffle mayo is as decadent as it sounds. One thing you HAVE to try in NAC is the truffled Mac and Cheese – the name says it all! 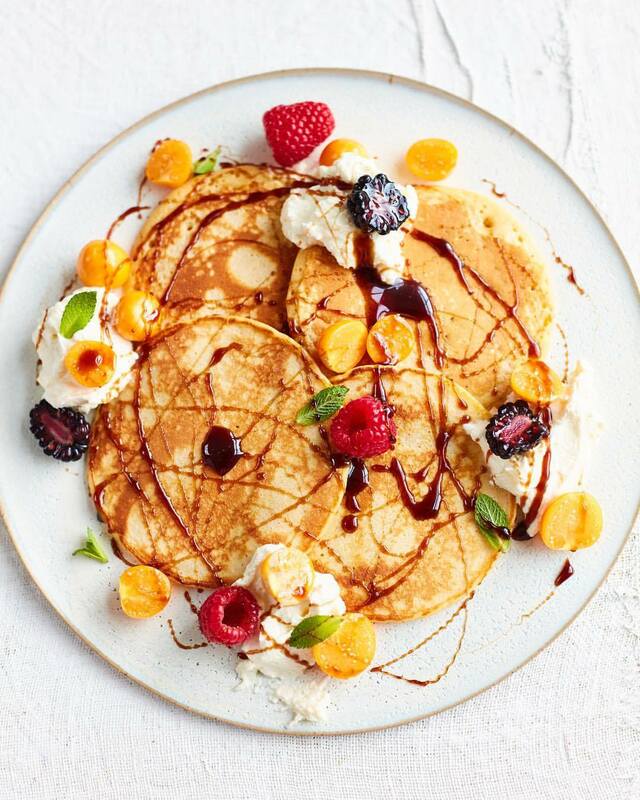 The newly opened Nobu Shoreditch has launched their first ever brunch menu. With classic Nobu dishes such as Yellowtail Jalapeno, Tenderloin Tataki on offer you really can’t go wrong. 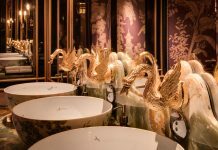 It also includes unlimited access to their brunch bar with oysters, ceviche chicken karage, and Japanese beef stew on offer how can you resist. There’s more to come with their delicious baby corn tempura, grilled skirt steak and there’s even dessert. 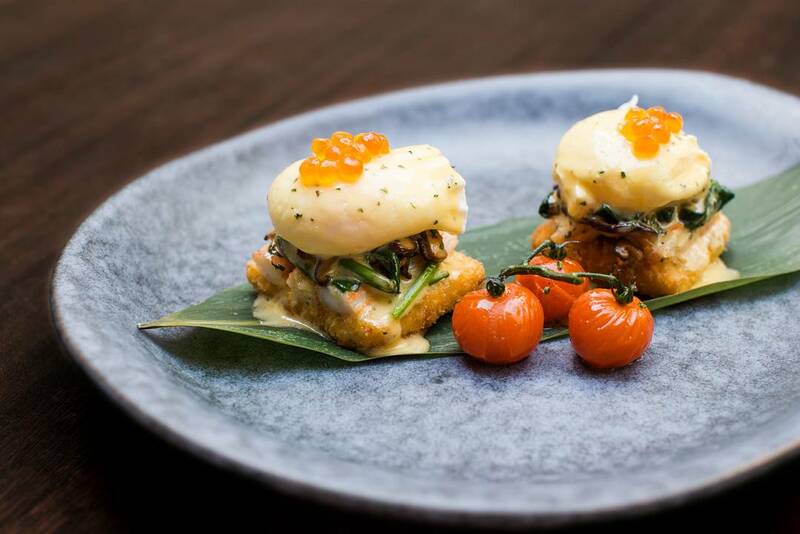 Brunch at Nobu Shoreditch is served on Sundays from 11 am to 3 pm. Avenue perfectly captures the Manhattan glamour in London’s St. James’s. Quench your thirst for Bloody Marys or Processo with their bottomless brunch menu. 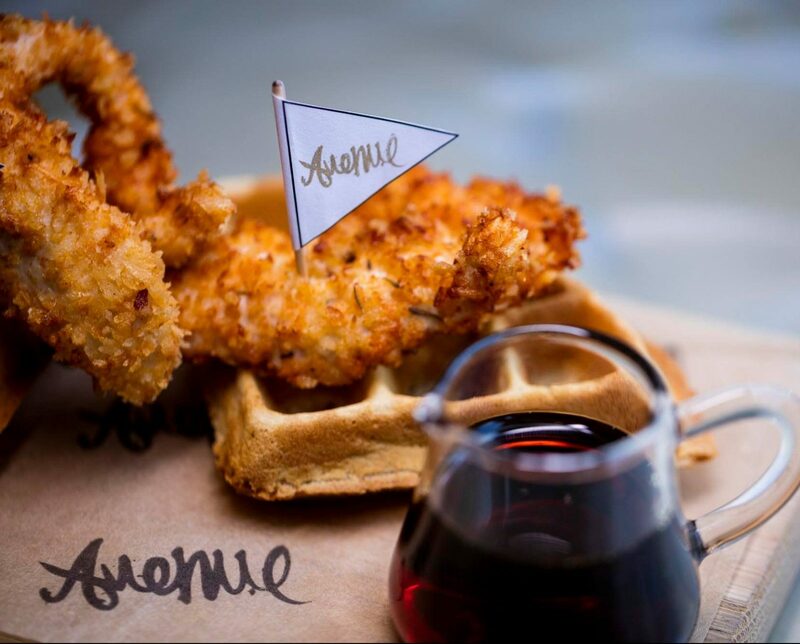 The menu at Avenue is extensive so whatever you fancy is guaranteed to be on the menu. Offering all types of eggs, buttermilk pancakes, spiced tofu, avocado and truffled mac n cheese. Our favourite is the buttermilk waffles with bacon and berry compote. The Brunch menu is available every Saturday and Sunday from 11 am to 4 pm. It is a leisurely affair with free-flowing bubbles. The most colourful brunch of them all is here at Casita Andian. 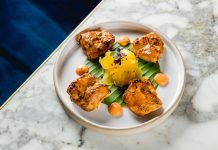 A Peruvian “picanteria” that offers dishes which are not only visually pleasing but also packed with superfood ingredients. Brunching at a Peruvian restaurant means ceviche and pisco sours are basically mandatory. For all you avocado fan out there, Casita Andina offers avocado pancakes with sweet and savoury toppings. The brunch menu is available on Saturdays and Sunday from 10 am to 4 pm. The decor will transport you to the heart of Lima with turquoise walls, plants and contemporary art around the restaurant. Make sure you check out their secret terrace. Casita Andina is Soho’s hidden gem perfect for brunch on weekends. When steak and lobster sandwich are present on a brunch menu you know it is going to be a seriously leisurely afternoon. Available only on Sunday from 11 am to 3:15 pm the brunch menu at CUT at 45 Park Lane is accompanied by live music. 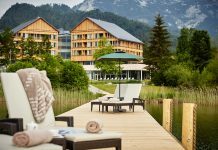 Start off by sampling some of their seasonal starters such as smoked salmon bagels and seven-grain granola before indulging in the delicious entrées. 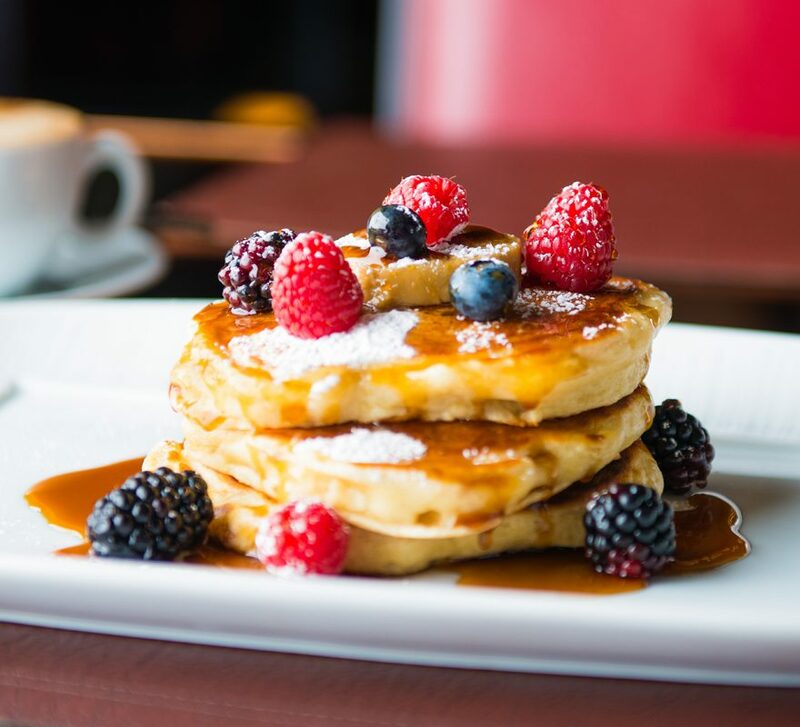 We recommend their classic fluffy buttermilk pancake with whipped maple butter and berries. If you are feeling extra hungry try their famous USDA prime sirloin ‘minute steak’. As if that wasn’t enough, accompany your brunch with one of their handcrafted champagne cocktails, or a bespoke Bloody Mary made before your eyes. Tapa room located on the ground floor of The Providores and Tapa Room is a unique mix between a wine bar and a cafe. The Tapa room takes its name from the huge traditional Rarotongan Tapa cloth that hangs on the wall. The menu is ever-changing but their brunch menu will blow your mind away with a huge selection of dishes to choose from. The innovative fusion food at The Providores and Tapa Room shows London how brunch is done. The brunch is served on Saturday and Sunday from 10 am to 3 pm. We recommend trying the Turkish eggs on whipped yoghurt, hot Aleppo chilli butter with toasted sourdough bread and of course who can resist a doughnut or two. Don’t let the name fool you Bad Egg is not for the faint-hearted. Expect a very boozy brunch. Each reservation is set for 2 hours with unlimited Bloody Mary’s, Prosecco or Mimosa running for the whole 2 hours – Ready, steady … and drink! It is definitely an adults-only restaurant. There are a variety of dishes to choose from on the menu with breakfast tacos, Crispy mac & cheese balls, maple syrup & french toast and much much more. Their brunch menu is available from 10 am to 7 pm on Saturday and 10 am to 5 pm Sunday. Get the taste of Australia at Granger and Co, their popular brunch menu created by restaurant guru Bill Granger is inspired by Granger’s travels and the sunny lifestyle of his homeland, Sydney. It is a famous brunch spot for the regulars so expect a queue. Granger and co have now expanded to King’s Cross, Clerkenwell and Chelsea too. The popular dish on the menu is the ricotta hotcakes with banana and honeycomb butter. Our favourite is the fresh Aussie, it is like a slice of Australia in London. 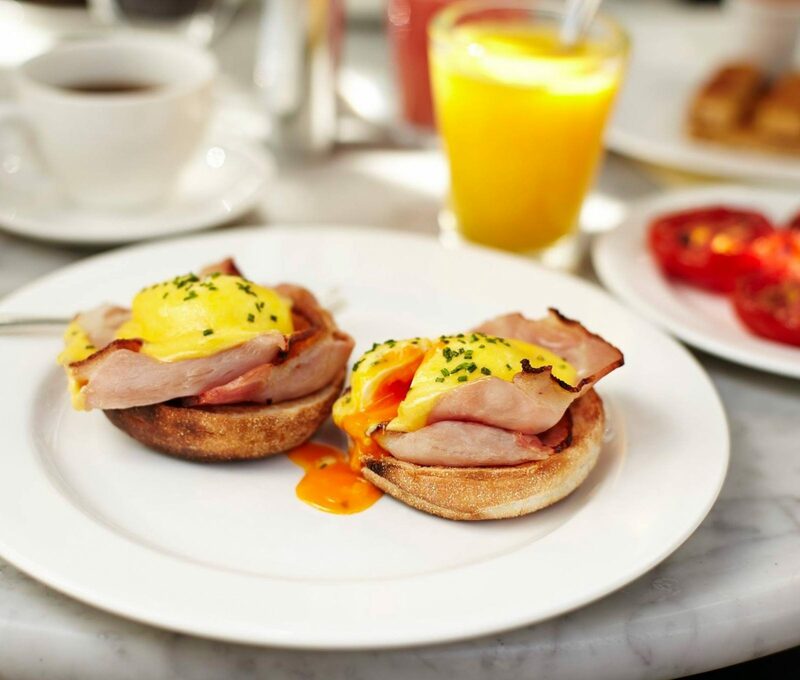 No brunch list would be complete without the classic The Wolseley. Technically this is breakfast, served from 8 am until 11.30 am but it deserves a mention. The Wolseley knows how to do breakfast this is the type of breakfast that will blow your socks off and is perfect for the special occasions. Try their classic French toast or pancakes with bacon or berries or opt for both. The presentation, the flavours are top notch. 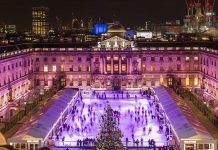 It is one of London’s ultimate restaurants and you are guaranteed to see a famous face or two at this grand venue. One place that deserves a feature on the best brunch list is Dean Street Townhouse. 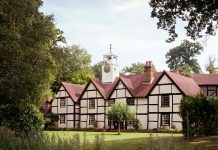 This stylish country house style hotel offers one of the best brunches in London. The dark panelled dining room and the decor really gives it a homey feel. The Dean Street Townhouse has a buzz about it which makes you realise you are in heart of London. The Brunch menu here has a strong British flair to it from Mince & potatoes to Fish & chips, mushy peas. Not only that they have a whole section on the menu dedicated just to Bloody Marys. We love the Heirloom Mary with Grey Goose, pineapple, tomato with a hint of Umeshu, green Tabasco and wasabi. It is a must try. Missing out London’s favourite Duck and Waffle from a brunch list feels like a sin. 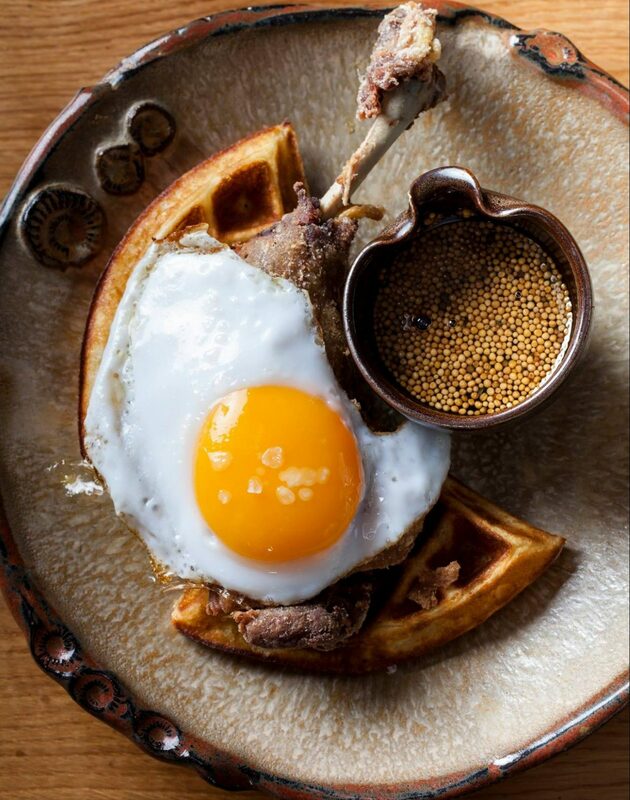 Known for serving breakfast all day with views overlooking the city, Duck and Waffle really is an extraordinary experience. We love their crispy leg confit with fried duck egg and mustard maple syrup. 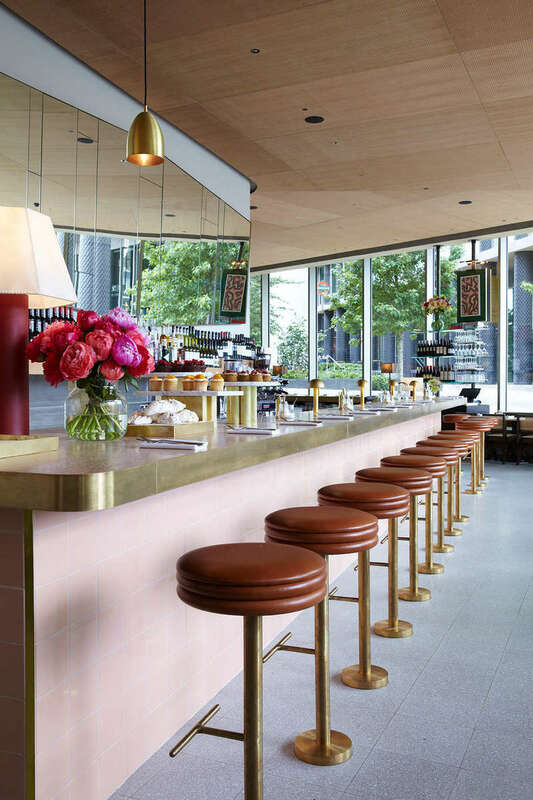 Securing a reservation is a challenge and you have to book well in advance however if you are a night owl go for a super late ( or early ) brunch watching the sunrise from Duck and Waffle over their scrumptious brunch is a breathtaking experience.